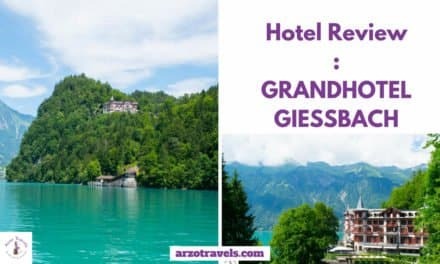 Here I am, talking again about of my most favorite regions – the Bernese Oberland in Switzerland. 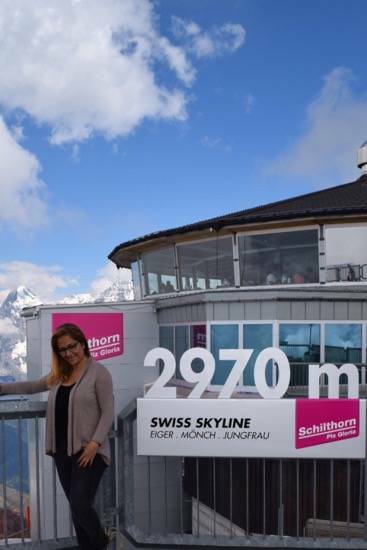 I did quite some tours and activities in Switzerland (though I hope to visit again in near future because there is so much more to do) but visiting Schilthorn was still such a special experience. 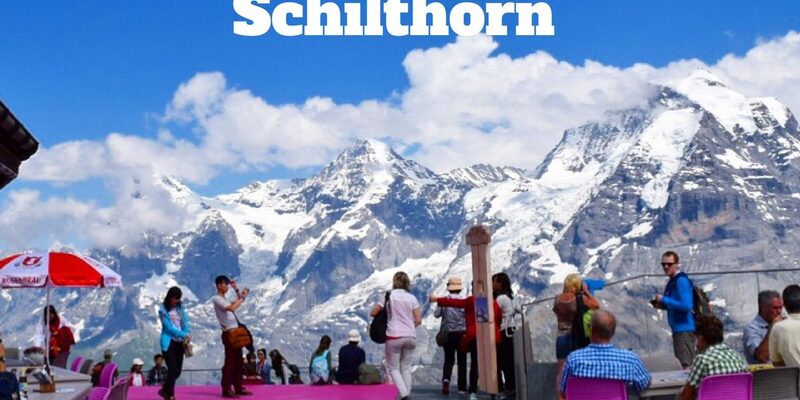 Schilthorn- the James Bond movie location in Switzerland. 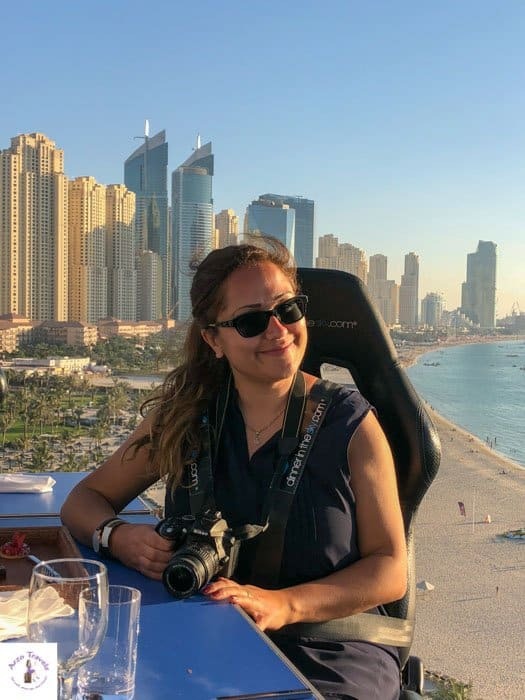 This is coming from someone who is not a James Bond fan at all so I am still happy I enjoyed a gorgeous day at Schilthorn – it is all about James Bond (even for non-fans interesting), great views and beautiful sceneries (just saying the Swiss Skyline) and also a bit of adventure. 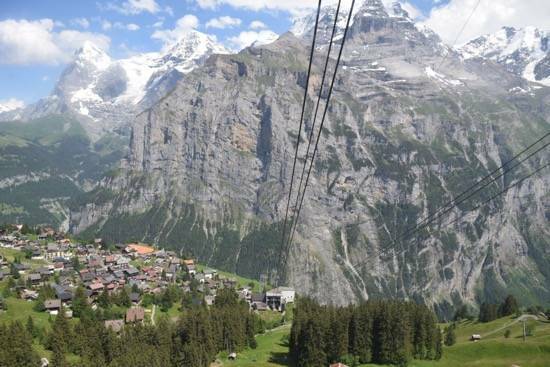 I parked my car in Lauterbrunnen and took a cable car to Grütschalp (just takes few minutes) and there I took the funicular to Mürren (about 15 minutes). 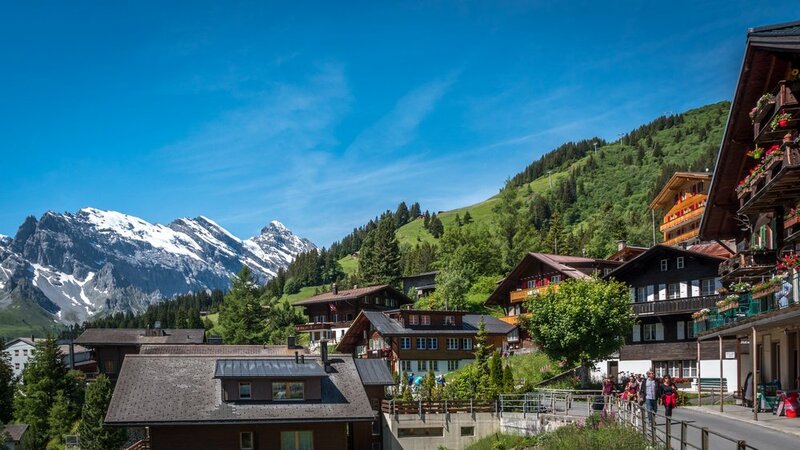 I walked to the other station of Mürren (and passed this beautiful cable free village) and took another cable car which brought me to Birg (scroll down to find out why I did a little stop there) and then headed to Schilthorn with another cable car (about 4 minutes). On my way back I took another route and took the cable car and got off in Stechelberg (about 30 minutes) and then there is a bus line back to Lauterbrunnen. 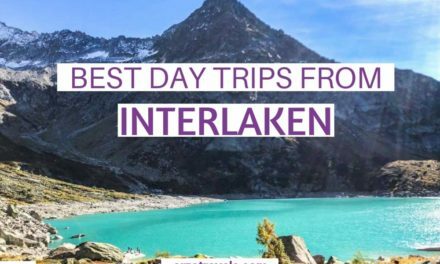 Of course, you could also hike up all the way or just some parts, so before buying tickets think about how much hiking/walking you want to do. Birg is in almost 2,700 meters height and there I visited the Skyline Walk which is a great platform which offers panoramic views. I also did Thrill Walk which just opened in July 2016. 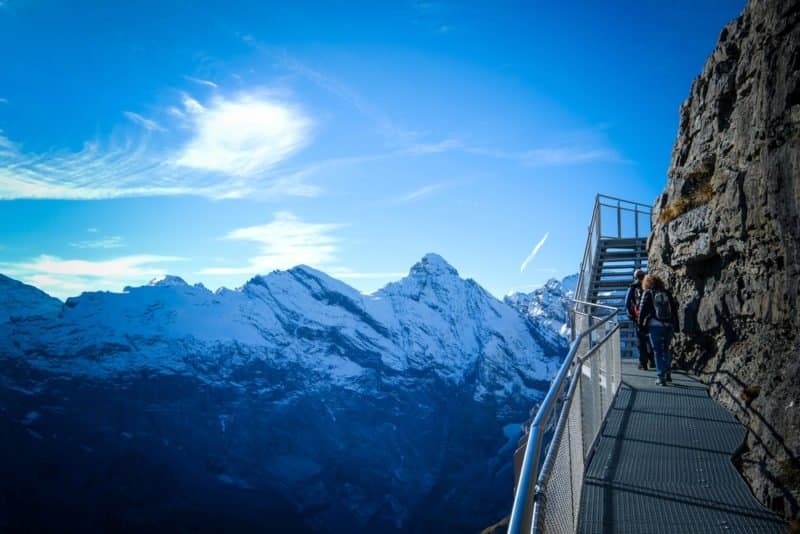 It is more than 1,000 meters above Mürren and a cliffed path leads to vertical drops of the rock massif – do not skip this one when visiting Schilthorn (there is no extra fee/entrance for all activities). There is also this beautiful bistro with lovely pink elements. 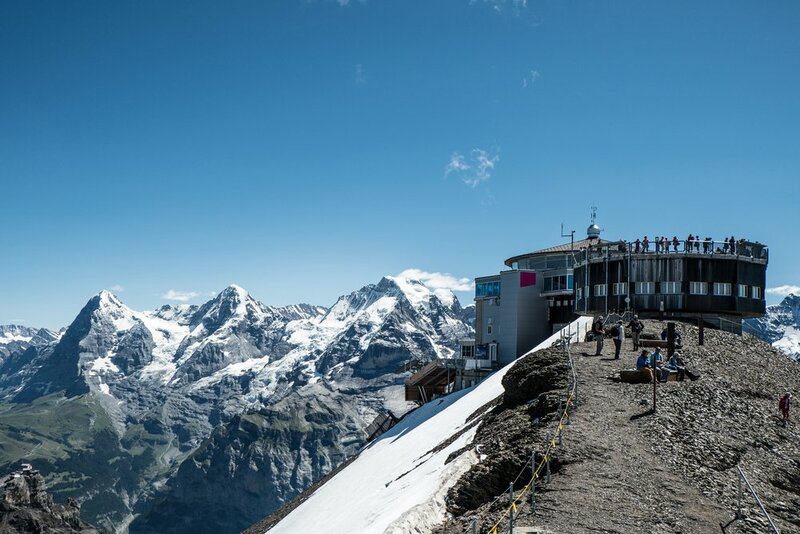 After Birg, I headed to Piz Gloria (at almost 3,000 meters height) – the revolving restaurant that many people know from the James Bond 007 movie “On Her Majesty’s Secret Service”. The restaurant is all about James Bond, even the burgers (in my case I opted of course for the vegetarian option) have the 007 logo! Good news. the food did not only look interesting it was also tasty. 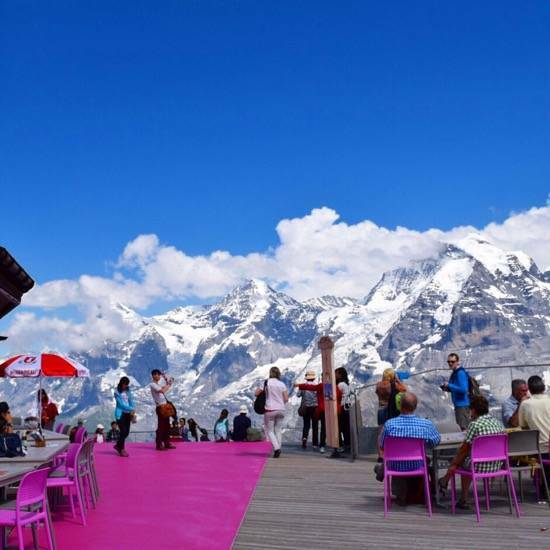 The Schilthorn revolving restaurant (the first restaurant which revolved in the world) offers spectacular views of the most famous Alps mountains there – Eigner, Mönch, and Jungfrau. I was not very lucky with the weather and it was a bit cloudy so I can just imagine how it must look with a clear view. 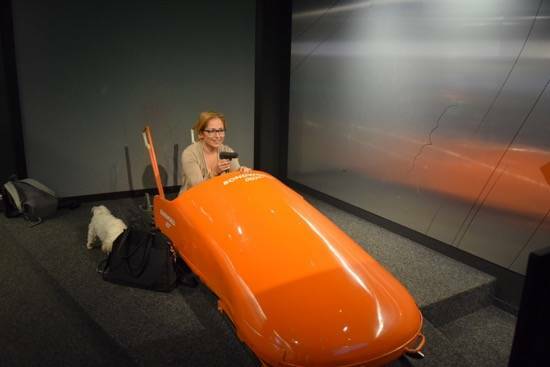 Basically, 90% of my knowledge about James Bond 007 now comes from my visit of the interactive James Bond exhibition here. Flying a helicopter, taking a call on the red phone with instructions for the next case, hunting the bad guy with a sledge (well, at least I assumed I was doing it) – I had the chance to re-live all that thanks to the exhibition (oh well, I also kissed James Bond but this picture is not meant for the public). Well, if you are there you must check out the restrooms as well! Even that is fun. Not to miss is the 007 Fame of Walk which is situated outside and gave more information about James Bond, the crew and the movie itself. 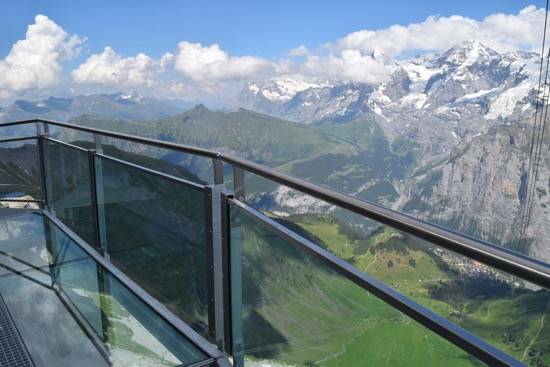 Visiting Schilthorn is an activity which takes a full day if you want to explore a bit more and don´t want to rush. 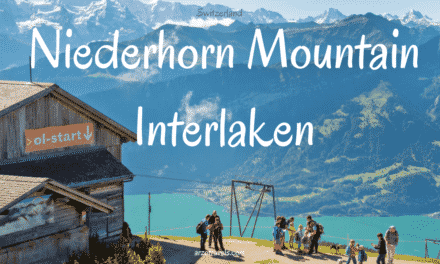 I am not a hiker (not yet at least), so hiking up to Schilthorn would not be an option for me. Therefore, I enjoyed my ride up with a cable car to Schilthorn even more. 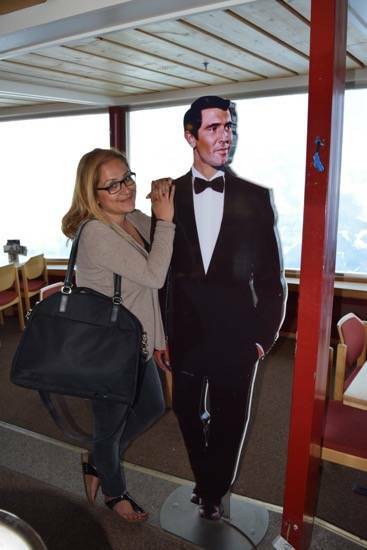 I had a great time there and if you are interested in a beautiful scenery and to find out more James Bond in Schilthorn, this is definitely a great activity. Though the sky was not clear I enjoyed those views on the Alps and though it was July I even saw some snow. 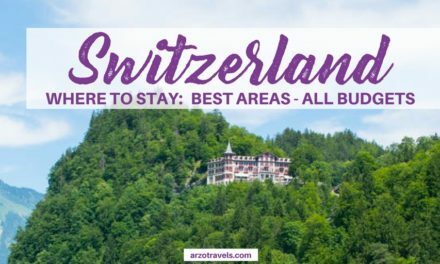 I definitely love to visit again (especially when the “Snow and Ice” Projects opens soon) and next time I would make sure to plan a little more time to explore Mürren on my way up- probably I would hike down some parts but I would definitely not have liked to miss out on such views. 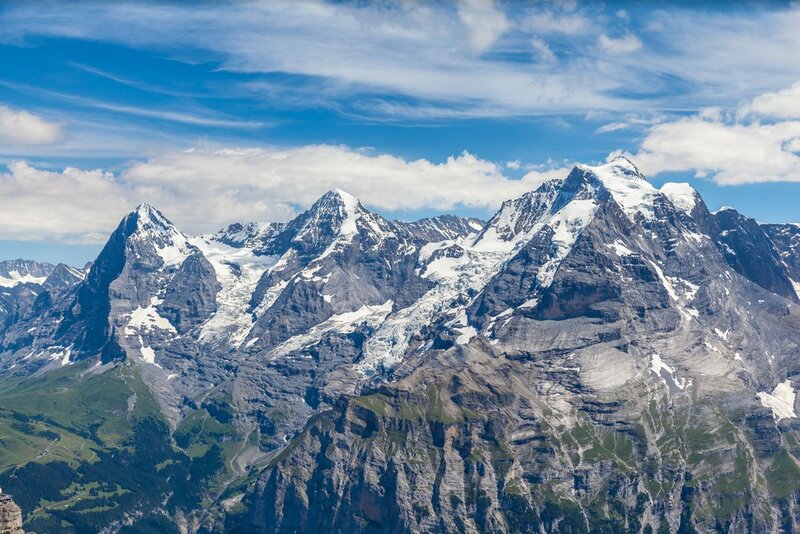 Disclaimer: I was invited by the Schilthorn AG and Jungfrau Tourism Office. But, as always, all the opinions and pictures are my own. 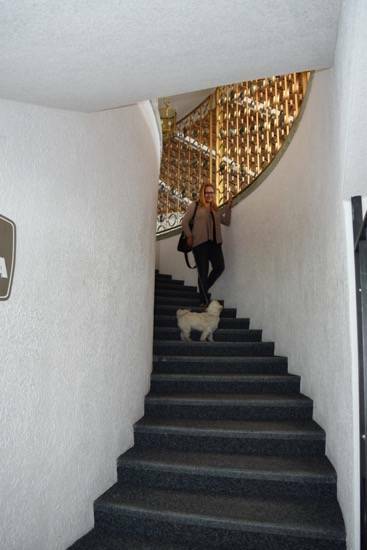 I was also guided by a great tour guide, Susanne, and would like to thank her a lot of patiently answering all my questions.